Billy Lane Amos, 85, of Hamburg, died Saturday, February 9, 2019. Bro. Amos was a native and lifelong resident of Hamburg and Ashley County. He was a Concrete Contractor, became an ordained Baptist Minister in September 1971 and was a member of Eden Baptist Church. 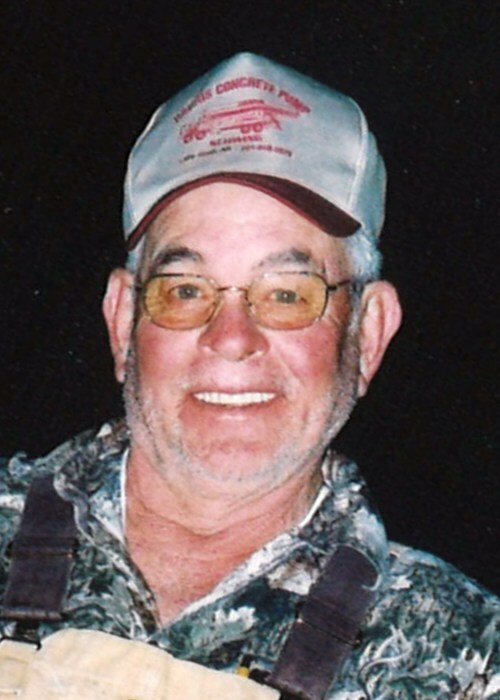 He was an avid hunter and fisherman and loved spending time outdoors. He is preceded in death by his wife of 52 years, Margaret Holmes Amos in 2003; a son, Ricky Amos in 1990; his parents, Bill and Fannie Woods Amos; two brothers, Lawrence Amos and Grover Amos; three sisters, Lena Findley, Feddie Murphy, and Hildred Livingston. He is survived by his sons, Micky Amos and wife, Norma, Danny Amos and wife, Helen; his daughters, Polly Clark and husband, Johnny, and Sharon “Sam” Amos and Norman Lee Swan, Jr., a bonus son, Dale Adams and a sister, Helen Knight, all of Hamburg; 18 grandchildren, 39 great-grandchildren and a host of nieces and nephews. Funeral services are 2 p.m, Tuesday, February 12, 2019, at the Zion United Methodist Church with Bro. Gene Gregory and Bro. Buddy Boykin officiating. Burial will be in the Zion Cemetery. Pallbearers are his grandsons, Jeff Amos, Adam Amos, Shane Amos, Dylan Amos, Nicholas Amos, Russell Amos, Ryan Amos, Cory Amos, Thomas Clark, Justin Clark, Zack King, and Brent King. Honorary pallbearers are Tim Allison, William Moffatt, James Stanley, Dennis Carpenter, Kenneth Knight, Johnny Knight, Doyle Murphy, Ed Murphy, Jerry Murphy, Sug Murphy, Bobby Livingston, Bo Livingston, Tommy Amos, Joe Amos, and his great-grandchildren. Memorials may be made to the Zion Cemetery Association, c/o Rita Pogue, 211 Ashley Road 467, Hamburg, AR 71646. The family would like to say a special Thank You to Ashley County Medical Center Home Health and Arkansas Hospice for all their love and care.